In December of 2010, Audiofile ended its 14-year run on This Way Out. enjoyed bringing you each year the best of new recordings by GLBT artists. edition of the 14 years can still be heard, just a click away. the international LGBT magazine and on IMRU which airs on KPFK 90.7 FM in Los Angeles and on the Internet. commentary directly from the artist. a part of Queer Voices on KPFT 90.1 FM, Houston, and also, from January of 2010, the internet show OutRadio. Both of those shows ended in March 2015. 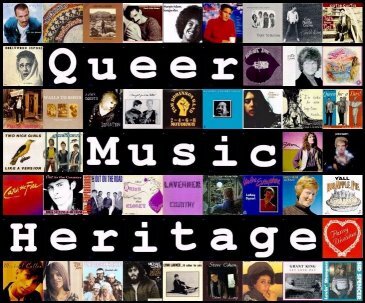 Broadcasters for his edition of Queer Music Heritage called "Queer Music Before Stonewall." which provided us the opportunity to be heard on over 200 radio stations around the WORLD and on the Internet? and Malmö, Sweden is available at www.thiswayout.org. Thank you for your support.